Remarks Still from a film clip showing the start-up of a Komet. After a ground crew man removes a cable, the Komet roars away. 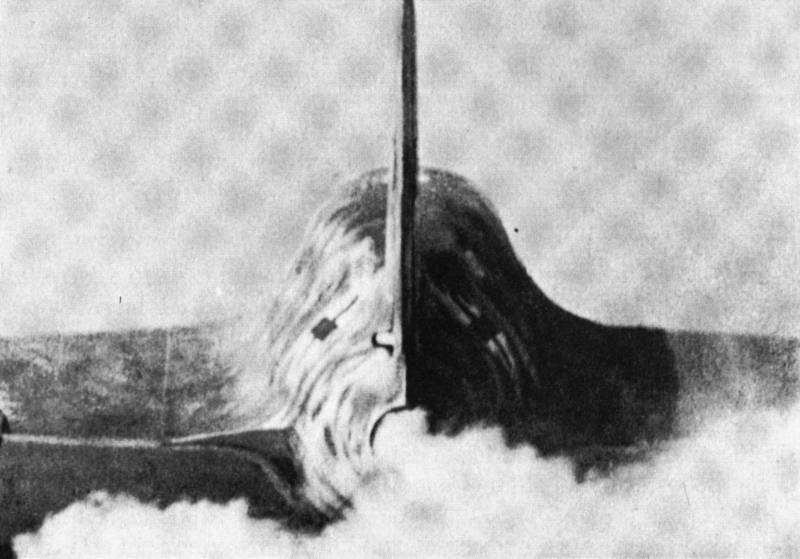 Short span trim flaps indicate an early Komet, either from the first Messerschmitt batch of 70, or from the first Klemm-built batch (440xxx WNr).